Where do investors go to find dividends when the market continues to trade at all-time highs and valuations are very ‘rich?’ There is one place that remains overlooked. But finding dividends is a relatively easy task these days, 85% of the S&P 500 companies pay a dividend. Still sometimes dividends are overlooked — especially when it involves small-cap or misunderstood stocks. While small-caps get shunned for being too volatile, they continue to present some of the best opportunities for generating outsized returns. The Russell 2000, which tracks the small-cap stock universe, has outperformed the S&P 500 by more than 120 percentage points since 2000. I’ve talked about cheap dividends in the past, highlighting four dividends trading at less than $10 a share. One of the names on that list, Kingstone Companies (NASDAQ: KINS), was trading at just $8 a share and paying a 3% dividend yield. Today it trades at nearly $16 a share. The insurance business is slow and steady — and that is winning the proverbial race. Then there’s Fortress Investment Group (NYSE: FIG) and Marvell Technology (NASDAQ: MRVL), both of which are up more than 50% since we profiled them. Meanwhile, the S&P 500 is up just 25% over the same period. Both Fortress and Marvell faced shifts in their business models that lead to large selloffs, which allowed investors to buy into these stocks at a deeply discounted valuation, while also getting hefty dividends. Ashford owns over 120 hotels in mid- and high-end markets. Its largest customers include the likes of Marriott (NYSE: MAR) and Hilton (NYSE: HLT). Trading at $6 a share, this hotel real estate investment trust offers a very hefty dividend yield — coming in at 7.8%. With the economy continuing to strengthen the hotel business is a great business to be in. The market has punished Ashford for making a hostile bid on FelCor Lodging Trust (NYSE: FCH), because investors believed management was doing what’s in their best interest (trying to boost assets under management), and not what’s best for shareholders. However, the stock-for-stock merger with Felcor fell through earlier this year. 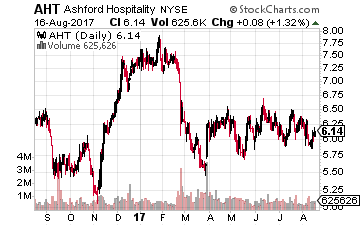 But now that the deal is no more, the market is still overlooking Ashford – the stock is still down more than 20% in 2017. Entravision is an overlooked broadcasting company, in particular, because it’s a Spanish-language broadcaster. 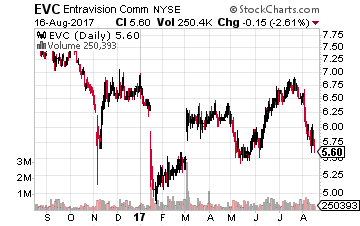 Entravision trades at $6 a share, with a $500 million market cap and has a stellar record of earnings growth. It’s expected to grow earnings by more than 20% a year for the next half-decade — better growth than any company in the TV industry. Then there’s its dividend — Entravision pays a 3.4% dividend yield. Hands down, Entravision has the best dividend in the broadcasting space. The major players, like Scripps Networks (NYSE: SNI) and News Corp (NASDAQ: NWSA), both offer dividend yields of less than 1.5%. What can drive Entravision higher, however, is its push into digital advertising. It has a plan to double its digital revenue, which will push digital to 20% of its total revenue. It has bought up a digital advertising specialist to help with this. And thanks to President Trump, there could be de-regulation among the media companies, which means more mergers and the potential for a Entravision buyout. Chico’s, the $1 billion market cap women’s retailer, owns brands like Chico’s, White House Black Market and Soma. Its core market is to sell private branded clothes to women 35 and older. It has over 1,500 stores. The apparel retailer trades at just $8 a share after the stock has fallen nearly 50% in 2017. And despite the worries, Chico’s has a strong balance sheet, trades for relatively cheap and is expected to grow earnings by more than 10% on average for the next half decade. Valuation wise, at 9 times next year’s earnings, it trades much cheaper than even The Gap (NYSE: GPS) and Limited Brands (NYSE: LB). 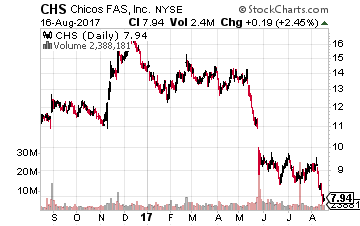 Chico’s pays a $0.32 dividend annually — offering a 4.1% dividend yield, which is just a 40% payout of its earnings. There’s a lot to love here despite the hate. We could also see a private equity, or larger retailer, stepping in to buy Chico’s. In the end, dividend-paying stocks don’t have to be boring. Investors can still find those dividend stocks that can outperform, sometimes you have to look where no one else is — in particular, those small-cap stocks trading for cheap. My colleague Tim Plaehn from The Dividend Hunter has created a massively successful dividend income system that’s delivering consistent extra cash for income investors using these same sorts of boring dividend stocks. He’s recently told me the average yield on his stocks is 8%. Some pay much more. 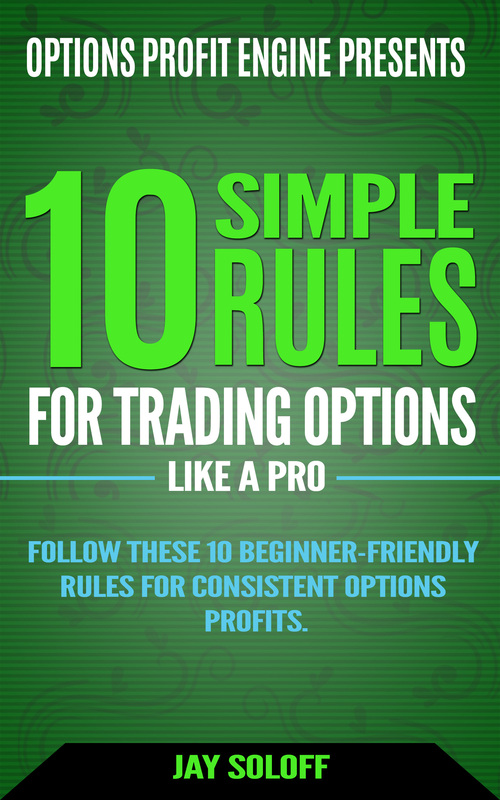 And he’s recently revealed his Monthly Dividend Paycheck Calendar so you can tap into that 8% average each and every month. No more worrying about if you’ve saved enough for retirement or how you’re going to cover next month’s bills.